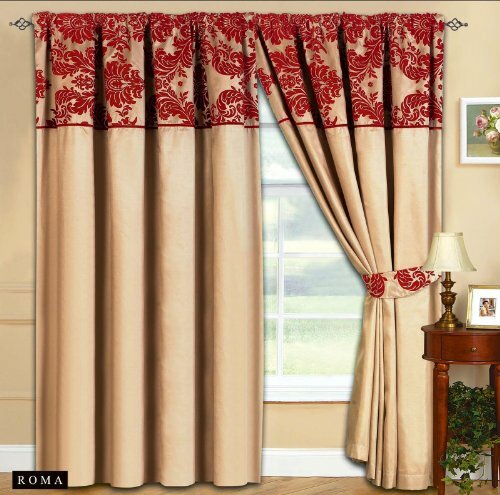 RYNZ COLLECTiON  Half Flock Curtains gives you elegant, stunning and modern design of ready made half flock curtain set with microfiber lining back side and on the front side use heavy microfiber flocking on faux silk for luxury smooth and soft feeling like Velvet. 8 brilliant colours available to keep your room up to date with modern appearance and style Check out my other items! My Shop’s logo Not to be confused with cheaper lighter ready made Curtains being sold on ebay. This is a high quality item. Small for Small Windows: 2 x (66″x72″) with 2 tie backs Big for Big Windows: 2 x (90″x90″) with 2 tie backs Shipping Details: •We welcome all your queries. •Quality packaging to ensure you receive item in good condition. •Items will be shipped through Royal Mail & other courier services. •Orders are generally shipped on the day after full payment received. •Can deliver to mainland UK only. Additional postage charges may occur for following areas: •Scottish Highland and Islands, Northern Ireland, Isle of Man, TR21-25, BT, IM, TR21-25. The Channel Island. Please contact for a quote before buying. •Please note: If delivery is attempted 2 times without success, the item is returned to us by the courier. A refund or redelivery request will incur a service charge of £5.99. Stunning and modern design of ready made half flock curtain set with microfiber lining back side and on the front side use heavy microfiber flocking on faux silk for luxury smooth and soft feeling like Velvet.